In her first picture book, Collins sensitively examines the impact of war on the very young, using her own family history as a template. 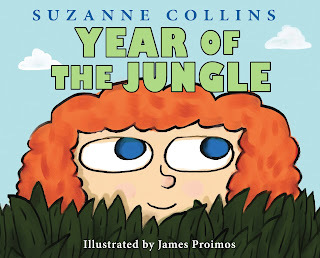 Suzy is the youngest of four children—Proimos draws her with impossibly big, questioning blue eyes and a mass of frizzy red hair—and she is struggling to understand the changes in her family. My dad has to go to something called a war, she explains. It’s in a place called Viet Nam. Where is Viet Nam? He will be gone a year. How long is a year? I don’t know what anybody’s talking about. 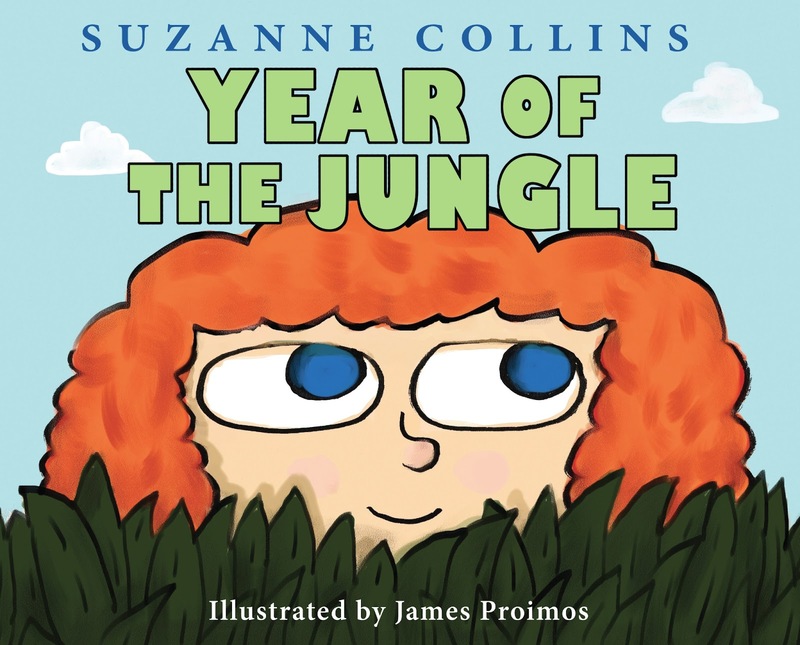 When Suzy learns that her father is in the jungle, she imagines something akin to the setting of her favorite cartoon (Collins suggests it’s George of the Jungle). As the months wear on, though, Suzy begins to piece together the danger her father is in, whether it’s through the increasingly unnerving postcards he sends (one reads, Pray for me, in closing) or by catching a snippet of wartime violence on the news. Explosions. Helicopters. Guns. Soldiers lie on the ground. Some of them aren’t moving. In four wordless spreads, Proimos makes Suzy’s awakening powerfully clear, as the gray jungle she initially pictured (populated by four smiling, brightly colored animals) gives way to a more violent vision, as the animals morph into weapons of war. Just when Suzy’s confusion and fear reach an apex: Then suddenly my dad’s home. As in Collins’s Hunger Games books, the fuzzy relationship between fear and bravery, and the reality of combat versus an imagined (or, in the case of those books, manufactured) version of it is at the forefront of this story. By the final pages, Suzy has come to understand that some things have changed but some things will always be the same. It’s a deceptively simple message of reassurance that readers who may currently be in Suzy’s situation can take to heart, whether their loved ones return changed, as hers did, or don’t return at all.